Delta Search is the PUP that uses misleading techniques to prevent removal. Use Reimage to locate malicious components and get rid of them faster than with uninstall instructions. A full system scan blocks virus reappearance and prevents traffic to malicious domains. How can Delta Search hijack my computer? 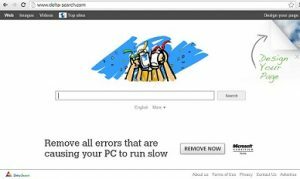 How to remove the browser hijacker from the system? Delta Search is a search engine that has clearly gone too far. It’s obvious that this potentially unwanted program is used by its owners to promote affiliate websites that seek to improve their sales or promote their services. For that, Delta Search may easily try to show you forged search results that may be filled with various links, ads and similar things. After being clicked, these ads may cause annoying redirections to unknown websites that may be filled with really suspicious content. 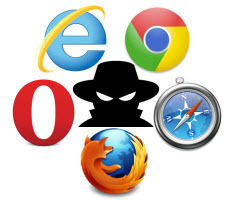 This and many other factors have made security experts to include this program tot the list of browser hijackers and potentially unwanted programs. If you have already noticed that Delta Search has altered some of your computer’s settings, such as the default search engine, the bookmarks list or the homepage, yo shouldn’t ignore this because you will have to use Delta-search.com or other suspicious search engine every time you open a new tab on IE, Google Chrome, Safari or Mozilla Firefox we browser. Please, keep in mind that we don’t recommend using this search engine for your search sessions because it’s a potentially unwanted application that may easily show you forged search results. Most importantly, you must remove Delta Search if you haven’t installed it with your knowledge. For that you can use Reimage. UPDATE: People started to inform us about an increased distribution of Delta search virus in the middle of April, 2015. If you have also been tricked into downloading it to your PC system, you should use a guide below and fix your computer. Remember, people who are related to this hijacker have been writing comments in various forums claiming that this program is not related to malware. This is a clear defensive strategy, as delta search uses sneaky distribution techniques to infect computer systems and trick people into visiting affiliate websites. The same engine is used for several parasites on different subdomains: mixidj, visualbee..
Delta Search virus: This virus is one of Delta Search variations causing browser’s redirections to delta-search.com malicious search engine. As a result, the owners of this website get ability to return altered search results and make people visit related websites. 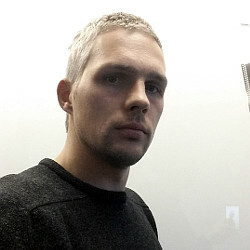 In most of the cases, this virus infiltrates computers in a bundle with freeware and shareware, but it may also be caused by malware, such as rogue anti-spyware or ransomware. If you think that your PC may be infected with Delta Search virus, you should check your PC for this infection. Delta-search.com redirect: Delta-search.com redirect is the issue, which is usually caused by Delta Search virus. It starts manifesting when virus infiltrates the PC and alters the part of computer’s settings. In most of the cases, it affects start page. default search engine and new tab page, so it can hardly be missed or mixed with other infection. We highly recommend scanning computer with updated anti-spyware when suffering from Delta-search.com redirect. yhs.delta-search.com: This search engine is a clear copy of Delta-search.com, which has been causing various problems. It seems that scammers have altered its address in order to trick more PC users, who have already been notified about issues that can be caused by this unfair search engine. We highly recommend staying away from yhs.delta-search.com because it returns forged search results that may redirect users to infected websites just like its previous variant. mixidj.delta-search.com: Mixidj.delta-search.com is the mostly-spread variation of Delta Search virus, which uses a slightly altered address but acts identically as previously released variants of this virus. It can appear on each of your web browsers after downloading freeware and shareware, so be very careful when letting such program inside your machine. The clearest sign, notifying that your machine is infected with this redirect virus, is discovering this site instead of your start page and default search engine. visualbee.delta-search.com: This search site belongs to the category of potentially malicious websites and is closely related to Delta Search. It is typically used to increase visitors traffic to specific domains, so you should be aware that it may return altered search results and show annoying pop-up advertisements. If you want to avoid this DeltaSearch-related website, you should be very careful when downloading freeware on your computer. If you noticed visualbee.delta-search.com on your PC, you should remove it without a delay. This Virus can be installed with a help of two different methods. You can either download it from its ‘official’ site manually or you may find it on your computer out of nowhere. 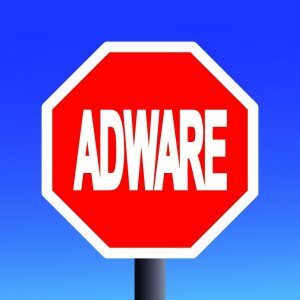 This method includes the third party software, which is always packed with such or similar adware. In order to avoid finding Delta Search on your PC out of nowhere, you should always pay attention to each of installation windows of the software. We must say that infection looks very similarly to Yahoo!.. However, it’s used to redirect people to delta-search.com and then return forged search results for them. If you want to avoid discovering delta-search.com instead your homepage or search engine and you don’t want to receive its misleading pop-up ads, you must remove Delta Search from the system. Here, look for Delta Search or any other recently installed suspicious programs. Wait until you see Applications folder and look for Delta Search or any other suspicious programs on it. Now right click on every of such entries and select Move to Trash. When in the new window, check Delete personal settings and select Reset again to complete Delta Search removal. Once these steps are finished, Delta Search should be removed from your Microsoft Edge browser. Here, select Delta Search and other questionable plugins. Click Remove to delete these entries. Now you will see Reset Firefox to its default state message with Reset Firefox button. Click this button for several times and complete Delta Search removal. Here, select Delta Search and other malicious plugins and select trash icon to delete these entries. Click Reset to confirm this action and complete Delta Search removal. Here, select Extensions and look for Delta Search or other suspicious entries. Click on the Uninstall button to get rid each of them. Here, look at the Homepage field. If it was altered by Delta Search, remove unwanted link and enter the one that you want to use for your searches. Remember to include the "http://" before typing in the address of the page. Now you will see a detailed dialog window filled with reset options. All of those options are usually checked, but you can specify which of them you want to reset. Click the Reset button to complete Delta Search removal process. This entry was posted on 2015-05-13 at 23:12 and is filed under Stealing programs, Viruses. Do I need DeltaTB.exe file? Do I need to remove deltaEng.dll? Is deltaTlbr.dll a safe file? You can quickly scan the QR code with your mobile device and have Delta Search manual removal instructions right in your pocket. How did you remove Delta Search?